In the State of New Jersey, both parents have equal rights to the care, custody, and upbringing of their children. If one reads the public policy behind the New Jersey Custody Statutes, they are designed to allow both parents the right to regular, consistent, and ongoing contact with the children after they divorce. Along with the rights of the parents to have ongoing contact with the children, is the obligation to provide financial, moral, and other support. There are essentially two (2) major components to custody. Legal custody is the equivalent of decision making as to the major decisions affecting the health, education and welfare of the child(ren). Most of the time, the parties share joint legal custody, such that each has a say in the major decisions effecting the health, education, and welfare of the child(ren). Physical or Residential custody, deals with who the child actually resides with. Under a traditional parenting plan, children live with one parent a majority of the time. That parent is known as the “parent of primary residence” (PPR) and the other parent is known as the “parent of alternate residence” (PAR). The PAR typically has parenting time quite liberally. However, there are no restrictions to the parties making any custodial arrangement they deem fit, so long as the children’s interests are adequately protected. So, for example, the parties could share a totally equal, joint physical custodial relationship, in addition to joint legal custody. As such, the parties would essentially have the child(ren) an equal number of overnights per year. This works best if the parties are amicable and live in close proximity. In some cases, parenting time must be supervised, at least for a period of time. This is usually the case where there is a pattern of behavior by one spouse that has created or will create a risk of harm to the child. Participation in activities and school events, including full and equal access to teachers and counselors, etc. These are just some of the items that should be addressed in an appropriate custody-parenting time agreement. 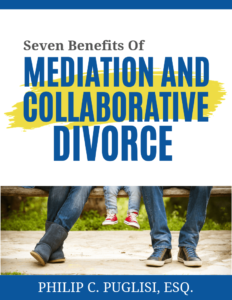 Oftentimes after divorce, circumstances change that might warrant a change in the Custody and Parenting Tme arrangement the parties had previously agreed to in their Marital Settlement Agreement (MSA) or separate Custody-Parenting Time Agreement. In New Jersey, there needs to be a significant change for the Court to consider changing the custodial arrangement. The standard is what is in the best interest of the child, not what a parent may want. What might be a significant change? The loss of ability to support and care for a child such as a serious disability that prevents a parent from adequately providing the nurture, love, care and stability a child needs. For example, if the custodial parent becomes mentally disabled or suffers from some other significant debilitating disease, that may warrant a look into a custody-parenting time change. The age of the child may also be of significance, that being the child reaching the approximate age of fourteen (14) or older with a good faith desire to live primarily with the other parent. The child’s preference is not absolute, but does carry much weight. Many times a teen may want to live with the non-custodial parent simply because the non-custodial parent is more lenient and/or spoils the child. This reason would be disfavored. Kids like to take the easy way out. Changes in custody are fact-sensitive. If an application is made to change custody, the Court may appoint a custody expert (child psychologist) to perform an evaluation as to what is in the best interest of the child. Custody and parenting time are fluid issues, never etched in stone. In New Jersey, either one or both parties can request, or the Court may order, the appointment of a Parenting Coordinator (PC). The Parenting Coordinator is used when the divorced or soon to be divorced parties have difficulty in communicating as it relates to the children or other parenting issues. Parenting Coordinators are typically Family Law attorneys, child psychologists or family therapists that have experience in dealing with high-conflict situations. If the parties are routinely having trouble dealing with such issues as the pickups and drop-offs, holiday scheduling, extracurricular activities, vacations, parental decision making, the Parenting Coordinator will meet with the parties and make recommendations. However, the recommendations are not binding and the parties are free to reject them. If one party accepts the recommendation of the PC and the other party rejects them, the former can apply to the Court to compel the other party to accept the recommendations. Many times the Courts will favor the recommendations made. Parenting Coordinators can, and often do, recommend that the parties attend co-parenting counseling or therapy so that they may better learn to communicate for the sake of the children. In high-conflict divorce situations, where the parties cannot get along as it relates to their children, either party or both can request, or the Court can appoint, a Co-parenting Counselor. The Co-Parenting Counselor is typically a trained, licensed social worker, family therapist or psychologist that will meet with the parties and attempt to break the logjam that prevents them from communicating effectively for the benefit of the children. The Co-Parenting Counselor may also recommend that either or both parties attend separate therapy to deal with his or her own issues.